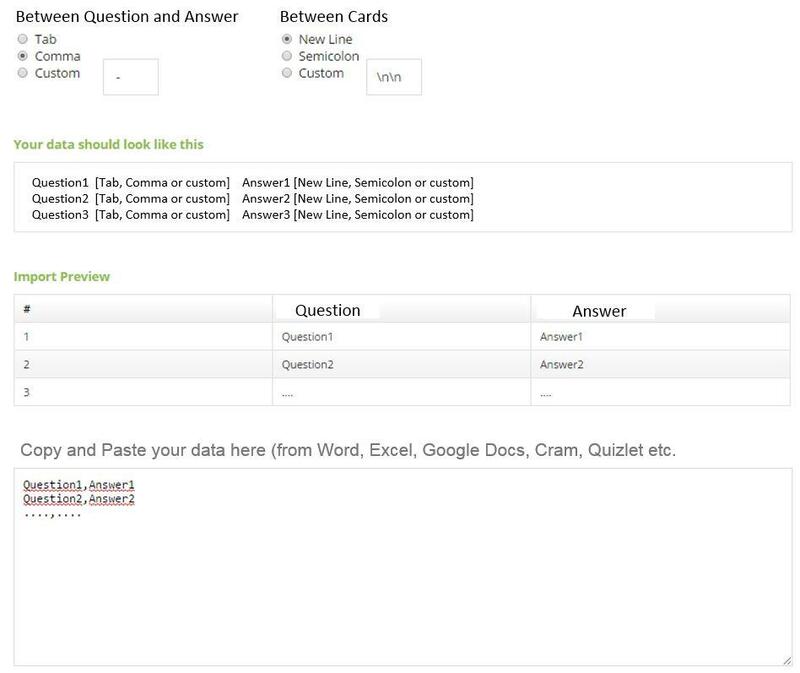 Copy and Paste your data here (from Word,Excel,Google Docs,Cram,Quizlet etc.) or Drag&Drop your text file. Copy/Paste the text from anywhere (Excel, Word, Notepad, Quizlet, Cram etc.) in the Text Box below. Load any Text file you may have. You can create them with Excel, Notepad etc. pp. If you saved Quizlet files from the Quizlet Export, you can load them above. Quizlet can also export a picture in the Answer. If you saved Carm files from the Cram Export, you can load them above.